Siccature Alcock, who came to be known as Jah Cure, was born in Montego Bay, Jamaica, but he grew up in Kingston Town. As a teenager, he became involved with reggae music and rose to fame rapidly in the late 90s. However, a jail sentence caused his meteoric rise to be cut short. He was only 18 years old in 1997 when he released ‘King in the Jungle’. This was a culturally minded single that was produced by Beres Hammond and was a duet with Sizzla. The release of the single turned out to be a pivotal step for Cure as it made Hammond his biggest champion. Furthermore, Sizzla also introduced the singer to the world of Bobo Dread. This is a sect of Rastafari that strives to highlight social justice, lives communally and has had a number of showdowns with the Jamaican police. The most recent album that was released by Jah Cure was titled ‘The Cure’. It was nominated at the 2016 Grammy Awards for the Best Reggae Album and it had firmly embedded itself in the Billboard reggae charts for about thirty six weeks. A track of the album called ‘Lion in the Jungle’ is regarded as the perfect blend of Reggae and R&B. The song is an expression of Cure’s musical development as it is a reflection of his complete musical sophistication and maturity. The greatest thing about ‘Lion in the Jungle’ is that it is both sound as well as substance. It has been produced well and also has a stellar performance. The songwriting is downright exceptional. 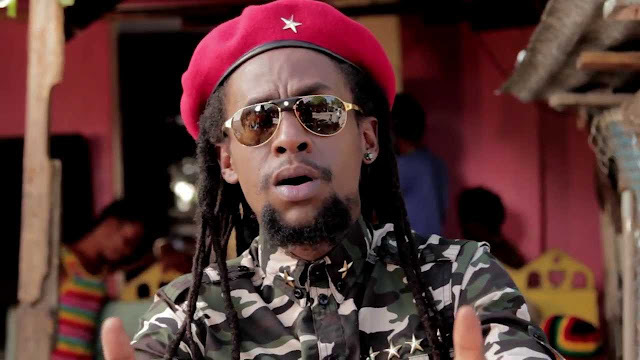 In his voice, Jah Cure succeeds in executing powerful, care-free, inspiring and calming feelings through the song simultaneously. ‘Lion in the Jungle’ has a superb arrangement and the lyrics, instruments and harmony come together beautifully. It is a catchy track that speaks about mankind’s dignity in the face of oppression.